Located directly on the beach, this five star hotel can easily sweep you off your feet. Surrounded by swaying palm trees, white sand and turquoise water, it's a wonderland for those seeking romance as well as families looking for an action packed adventure. Take a plunge at one of three swimming pools or grab a racquet and head to the tennis court for a friendly match. Daredevils can enjoy waterskiing or windsurfing while guests planning to stay low-key can kick back and relax with a margarita at the on-site cocktail lounge. In addition, you'll find shopping, live entertainment and a playground for the kids that are just moments away from your door. Experience the serenity of your own elegant suite which offers each guest a fantastic view of the Caribbean Sea or lagoon. Air-conditioned studios are furnished with two double beds, full bathroom, color TV and balcony; Ambassador Suites provide a king-size bed, Murphy bed, sofa, full bathroom with walk-in closet, kitchenette with dishwasher, microwave and refrigerator, dining room and balcony; spacious Imperial Suites offer the same amenities as the Ambassador Suite but render extra space with an additional room. Paradise awaits at Imperial Fiesta Club where a multitude of attractions are just moments away and the tropical sun always follows. Hit the golf course, peruse the shopping malls or salsa at a nightclub all which are located within five minutes. A 45-mile commute will bring you to Cozumel Mexico's biggest inhabited island where you can shop, fish or dive. Forty-three miles from Cancun lies Xcaret where spectacular underground rivers attract thousands of visitors each year. Join a tour or visit a manatee lagoon in this mystical eco-archaeological park. 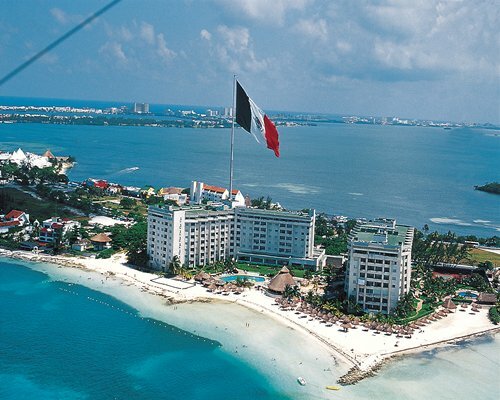 The nearest major airport is approximately 19.5 miles away, in Cancun. From the airport, follow the main highway towards the Hotel Zone in Cancun. 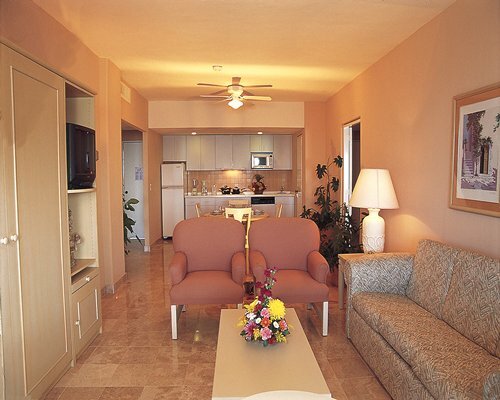 Imperial Fiesta Club is located at Hotel Casa Maya km 5.5 Kukulcan Avenue.